A mixed case of twelve different bottles of Portuguese white wine, presenting a wide range of styles and grape varieties from five different regions. Discover Portuguese white wine with this mixed case of 12 different bottles from 6 different wine producing regions in Portugal. 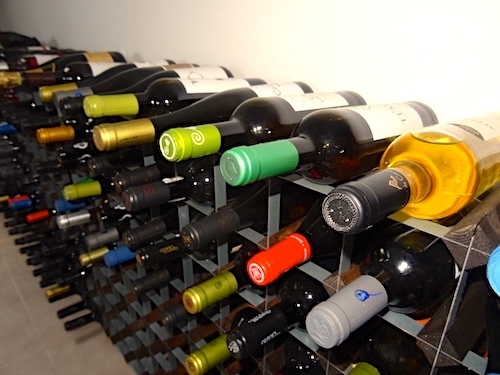 This case has excellent examples of wines from the Vinho Verde, Alentejo, Lisboa, Dão, Tejo and Douro regions of Portugal and shows how differences in style, flavour and complexity vary across the country. This case comes with free delivery. New wine is arriving all of the time and older vintages are being replaced, so the selections for this case will vary. This beautiful white wine comes from the Dão region and it’s made entirely from the Encruzado grape variety. Delicious and fresh the wine lingers on the palate. This is a superb wine to showcase this special variety of grape. For lovers of Dão wines this is one not to miss!